Mojave Audio is helmed by engineer and 3-string bass player Dusty Wakeman, and showcases the condenser mic designs of David Royer (whose newest ribbon mic, the Royer Labs R-10, is also featured in this issue). Over the past decade-plus, Mojave mics have become favored by many A-list engineers, and I also see them in many home and project studios. 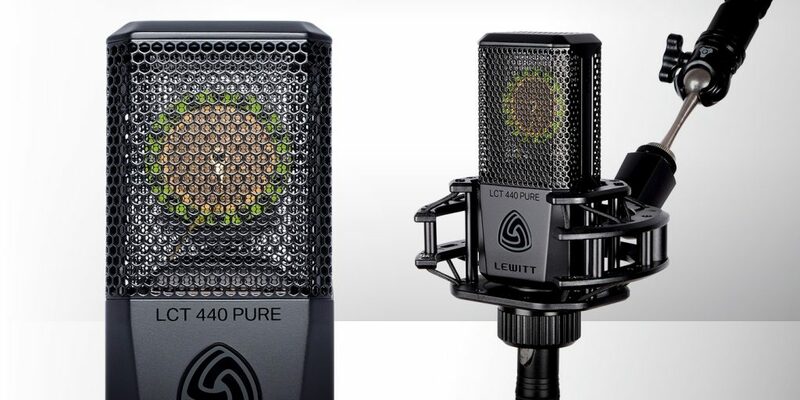 Those two mics and the FET-based MA-201 and MA-301 represented the large-diaphragm end of the Mojave lineup for years now, with prices from $795 to $1295. Recently, Mojave has broken out of that price bracket in both directions. In November 2016, I reviewed the MA-50, with a clean neutral sound and a $495 street price. Now it’s time to go big, with Mojave’s new flagship mic, the MA-1000. The MA-200/300 models are known to inhabit the sonic landscape of the Neumann U67, but they are not and have never been billed as U67 clones. Although David Royer has cited the classic Telefunken ELA M251 as his impetus for the new MA-1000, the 251 was merely his starting point. The MA-1000 is not a clone but his own vision of what he felt the 251 could or should be. Originally the Telefunken-designed ELA M251 was a hybrid mic in its day, meant to be a U47 replacement using AKG capsules and electronics (it sounded nothing like a U47). The original 251 made use of the AKG C12 microphone’s capsule, the CK12, and the capsule hand-selected by David for the MA-1000 is, like those found in vintage 251 mics, a brass edge-terminated design with a 1” gold-sputtered 3-micron-thick dual diaphragm (although, as David points out, vintage diaphragms are considerably thicker). The mic’s capsule and components are globally sourced and hand-assembled in the USA. The parts list includes a New Old Stock 5840 miniature tube and a custom transformer of David’s own design, made in the USA by Coast Magnetics. 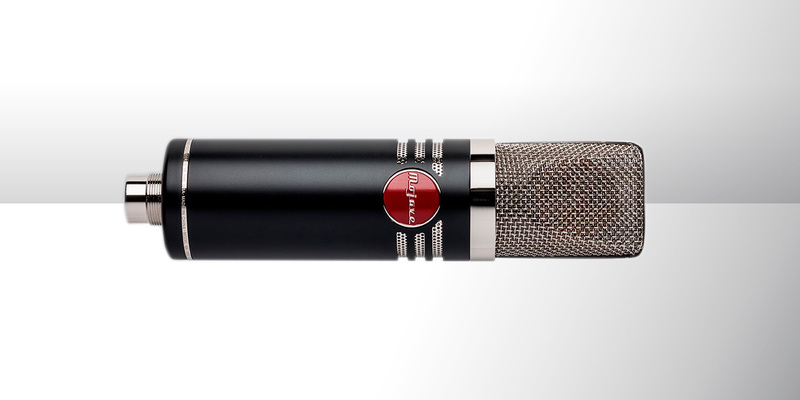 While older Mojave Mics share a simple black and silver utilitarian look, the MA-50 and MA-1000 usher in a visual change for the company, most significantly a new Mojave logo badge in silver and red enamel. The 1lb., 7 5/8” X 2” body of the MA-1000 is still dressed in Mojave matte-black with a silver chrome double mesh grille, but alongside the red logo badge are 3 rows of classy-looking chrome grating that give the mic the look of a 1950s hot rod. The mic comes in a kit that is equally impressive. A large airplane-ready Pelican-style case contains a suede-lined wooden mic box, 7-pin Mogami mic cable, custom Mojave power supply, and a custom large-format Royer Sling-Shock shockmount. The build, fit and finish of the whole kit is topnotch, from accessories to (especially!) the mic itself. The MA-1000 features a continuously variable polar pattern on the power supply, from omni through figure-8. 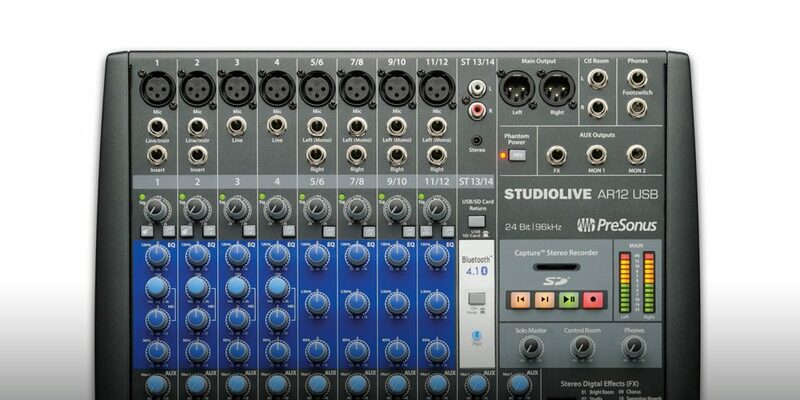 Its controls include a 15 dB pad and bass cut filter (6 dB/octave below 100 Hz). 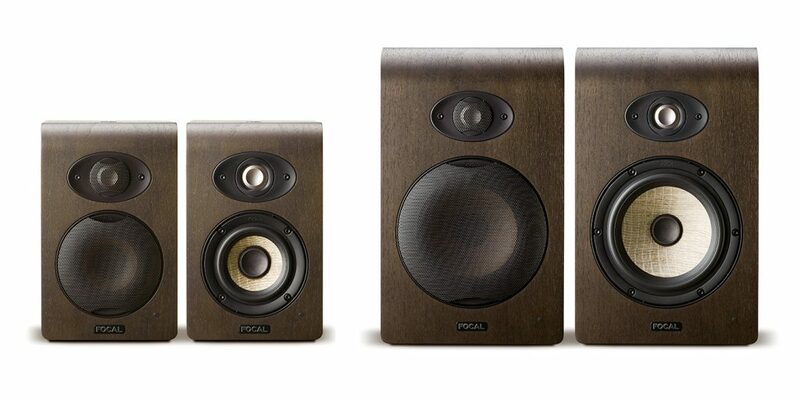 Some specs include: Frequency response 20 Hz–20 kHz, sensitivity (ref. 1V/Pa) of –37.5/–36/–34 dB in omni/cardioid/figure-8, maximum SPL 120 (135 dB with pad), self-noise of 14 dBA (nominal, not to exceed 16 dBA), and impedance of 200 Ω.
Frequencywise, the mic is darn near flat from 20 Hz up to 1 kHz in both cardioid and figure-8, with a gentle 2 dB bump from 3 to 7 kHz that is sharper in figure-8. There is a dip around 8 kHz, followed by a generally flat 10 to 20 kHz response with only minor fluctuations. Omni is a tad rolled off in the lows, with the most drastic high peak of all centered at 10 kHz. If the MA-300 was more a red wine as described above, the MA-1000 is a nice perfectly chilled white wine with broad oaky bottom notes and a clean balanced middle, rounded out with a gently smooth, buttery top. Sonically, as on a good ELA M251, nothing on the MA-1000 tries too hard. It captures and represents low-end sources without them ever feeling pushed or like the mic is adding its own weight to them. The mids are accurate and out of the way, while the top end is detailed with the most beautiful, sweet rounding. It’s hard not to use poetic language describing this mic: it’s a wonderful example of smooth clarity. It has an equally smooth off-axis rejection, and like a good classic mic it maintains its tonal balance at a variety of distances. Its proximity effect is unusually well-balanced; the low end gains volume without drastic alteration in tone. To test this, I recorded a vocalist singing a low sustained hum, first at 3 feet and then right on the mic. I adjusted the recorded tracks to equal level in my DAW, and the tone remained similar between them. If a source does exhibit too much boom or mud, the Bass Cut switch is great for cleaning it out without neutering the tone. One thing Dusty Wakeman recommended to me was to set up the mic on various sources and then place the power supply on my desk, close my eyes, and turn the variable pattern knob until it just sounded right. What I noticed is that despite the usual sonic changes that happen when changing patterns—like figure-8 being thicker and omni being brighter and more open—was how well the MA-1000 maintains its general tone and feel. Twisting the pattern knob gives the sound a nice gentle elastic quality, as well as the usual focus and rejection qualities found in multiple-pattern mics. One thing that I like about 251-style mics is that they generally have a more neutral sound and a broader range of uses then many U-style mics, and the MA-1000 is no exception. From acoustic and electric guitars, male and female vocals, to room miking, solo strings and grand piano, there is no source where this mic is a bad choice… just like a great classic mic. The MA-1000 does have a slightly laid-back and seated quality to it that places things in the mix, rather than making them punch through it. My hands-down favorite use was on drums—as a spaced stereo pair over overheads, and even more so in a Glyn Johns drum setup. In both cases, using Dusty’s suggestion to dial the pattern until it sounded right really helped nail the best focus of the drums. The buttery top end is stunning on cymbals and controls their sizzle nicely, but still in a very clear realistic way. Lastly I need to mention how quiet this microphone is. For a tube mic, the noise floor is barely perceptible, giving it a huge advantage over many vintage mics and even vintage spec clones. Like the MA-200/300 is to the U67, the MA-1000 is to the ELA M251; it is David Royer’s take on and update of the classic, but like the MA-300, it jumps off the clone wagon and does its own thing in a nice modern way. As mentioned, this is Mojave’s new high-end flagship and the price of the package reflects that. This is a seriously boutique-level mic, with a seriously boutique-level sound. It not only goes toe to toe with many of the classics… someday it may well be a classic in its own right.